Quform WordPress v2 DocumentationFAQFormsHow do I add a new page to a form? While editing the form click on the + icon in the top bar. This will create a new tab for the new page and you can switch between pages using these tabs. 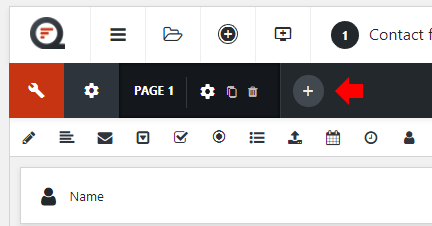 You can configure the page progress bar type at Edit Form → Settings → Pages.